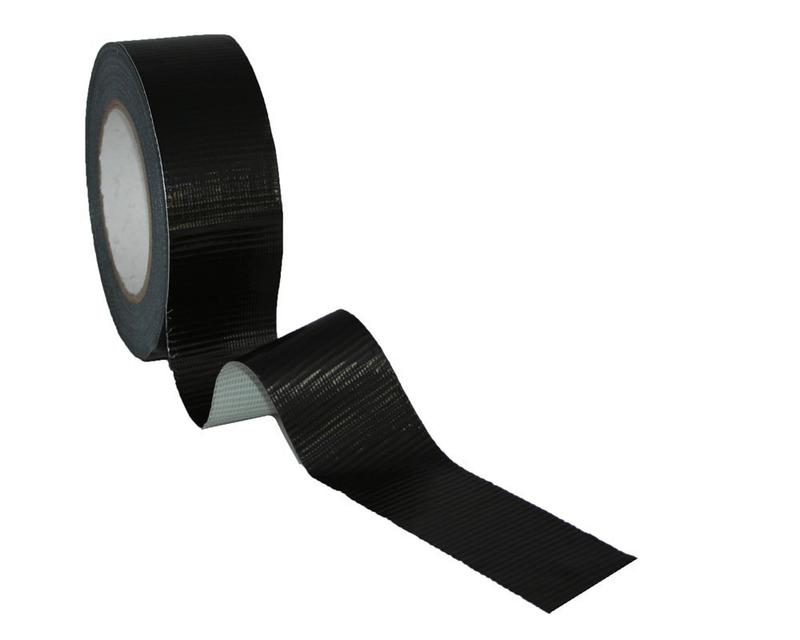 This black duct tape is a multi-purpose gaffer tape and ideal for use as a heavy duty strong packing tape. Made from water-resistant polyethylene-coated cloth, its top grade natural rubber adhesive conforms well to awkward shapes. Our 50mm x 50m black duct tape can be used for a wide range of applications, including as heavy duty packing tape. It is a cloth tape, featuring top-quality natural rubber adhesive that conforms even to items with awkward shapes. The cloth is coated with polythene to make the duct tape highly resistant to water.